Marc advises on a range of high value commercial and financial litigation and international arbitration. 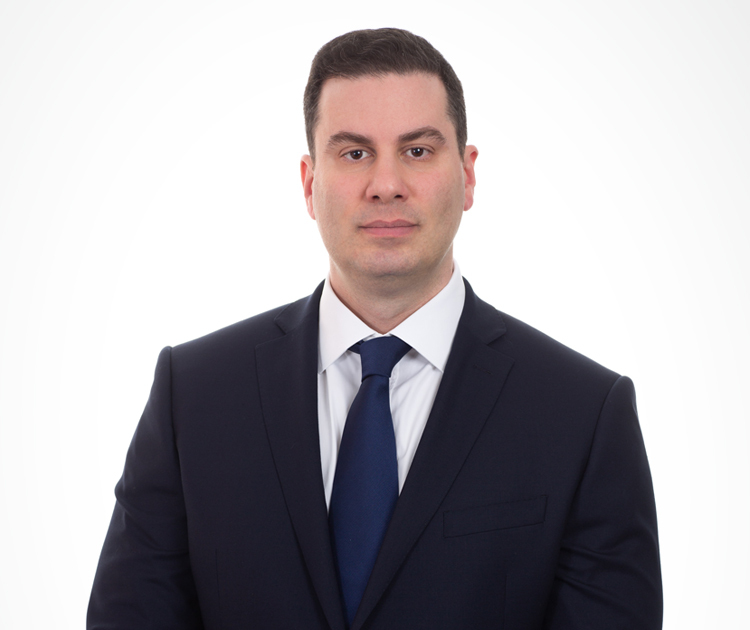 His expertise encompasses partnership/LLP, shareholder and corporate disputes, commercial agency and joint venture disputes, as well as civil fraud and asset tracing cases. He is experienced in bringing and defending claims for interim relief, including worldwide asset freezing injunctions. Marc undertakes professional negligence actions, acting predominantly against investment managers, construction professionals, and law and accountancy firms. He also advises on substantial contentious insolvency matters – in the context of corporate insolvency acting in relation to winding up petitions and also cases involving officers of the company and third parties in a variety of scenarios, including where claims of misfeasance or fraud are alleged. Much of Marc’s work has an international dimension and, in addition to having undertaken, over the years, extensive work with an EU or US connection, he has particular recent experience on cases with India and Africa dimensions, as well as cases connected to offshore centres. Marc is well known for his work in the field of banking and financial services disputes, where he advises and acts for hedge funds and other investors and bank customers, in high-stakes and cutting-edge litigation against financial institutions, sometimes involving allegations of fraud. Marc is experienced in acting in high value disputes in the funds sector, including acting in LLP disputes where he assists departing members with negotiation of their exit, often avoiding the need for litigation. Marc’s international arbitration work includes substantial cases across a number of industry sectors including mining and other commodities, as well as experience in bringing and defending challenges to arbitration awards in the English Court (brought under sections 68 and 69 of the Arbitration Act 1996). Marc has substantial experience of complex High Court trials and other substantial hearings, as well as expertise in assisting clients to resolve disputes through mediation and other forms of alternative dispute resolution. Marc obtained a First Class Honours degree from Manchester University and achieved a distinction in the Legal Practice Course undertaken at the College of Law, London. He trained with the international law firm, Simmons & Simmons, before joining the dispute resolution group of City of London firm Theodore Goddard upon his qualification as a solicitor in 1999. During his time with Theodore Goddard (subsequently Addleshaw Goddard after a merger) he acted for a number of blue-chip clients, both domestic and international, on various contentious matters, including complex High Court commercial, financial and insolvency cases. In January 2009 Marc co-founded Cooke, Young & Keidan. Marc has for many years been ranked as a leading lawyer by the Chambers and Partners Guide, in both the banking litigation and commercial litigation categories. The 2019 addition comments that he is “very energetic, engaged and hands-on, and he is also really client-focused. A really committed litigation partner you’d want on your side.” In the 2018 edition, market sources cited his “solutions-focused” manner and his skills as “a great strategist”. The 2017 edition commented that he is “a hugely energetic lawyer, a creative thinker and leaves no stone unturned” and that he is “absolutely passionate and determined”. The 2016 edition observed that he is “really client-focused” and “simply on the ball the whole time”. Marc is also recommended by The Legal 500 Guide (2018 edition) in all of the Commercial Litigation, Civil Fraud, International Arbitration, Partnership and Banking Litigation Categories. He is ranked as one of a small number of “Leading Individuals” for Banking Litigation. The latest edition of the directory referenced his being “tenacious and aggressive”, someone who “stands out for his willingness to get stuck into difficult fights”, as well as being “a no-nonsense lawyer who gets results for his clients”. The 2017 edition of the directory commended Marc for his “unrivalled commitment to client needs and [his] great ability to think outside the box” and for being “an irrepressible character whose litigation instincts are always spot on”. The 2016 edition praised his “total commitment” and described him as having “real expertise in banking-related disputes and an absolute determination to do the very best for his clients”. Marc was listed in Thomson Reuters’ London “Super Lawyers” for Commercial Litigation. Symbion Power LLC v Venco Imtiaz Construction Company  EWHC 348 (TCC) – We acted successfully for the defendant, Venco, in this High Court case where the Court rejected an application to set aside an ICC arbitration award for serious irregularity under section 68(2)(d) of the Arbitration Act 1996 on the basis that the tribunal had failed to deal with issues which were put to it. Mishcon de Reya acted for Symbion Power, the unsuccessful claimant. RBS -v- Highland Financial Partners LP & Ors  EWCA Civ 328 – a high profile case relating to a claim brought by RBS for an anti-suit injunction seeking to block fraud claims against the bank in Texas for more than $100 million. Highland, a Texas-based hedge fund client, counterclaimed that RBS had obtained a judgment from the Court by fraud. The Court of Appeal dismissed RBS’s claims and struck down RBS’s judgment for fraud. RBS was represented by magic circle firm Linklaters. For more details see our Press Release. RBS -v- Highland Financial Partners LP & Ors  EWHC 3119 (Comm) – a significant judgment in a banking litigation case relating to a failed CDO issue which terminated in late 2008. The bank was subjected to judicial criticism for conducting a “sham” auction of leveraged loans and was found to have deceived its counterparty. Herbert Smith initially acted for RBS but were replaced by Linklaters in mid 2011. Deutsche Bank AG and another -v- Highland Crusader Offshore Partners LLP and others  EWCA Civ 725;  WLR (D) 254 – a leading Court of Appeal authority in relation to the grant of anti-suit injunctions. The hedge fund, for which the firm was acting in respect of its defence of a US$ 70 million claim, was successful in the Court of Appeal in overturning the grant of an injunction preventing it from continuing its fraud proceedings commenced against the bank in Texas. The bank was represented by Allen & Overy. A -v- B & Ors  EWHC 54 (Comm) (23 January 2007) – a substantial Commercial Court case arising out of a fraud claim and trusts dispute, concerning an award of indemnity costs against a party where court proceedings were commenced in breach of an agreement to resolve disputes through arbitration. Gregg & Co. (Knottingley) Ltd. & Anor -v- Emhart Glass Ltd.  EWHC 804 (TCC) – a Technology & Construction Court case, successfully acting for a customer in a claim concerning the supply of defective industrial equipment. Dadourian Group International Inc -v- Simms and Others  EWCA Civ 399 – a Court of Appeal decision in a substantial fraud case, concerning the exercise of the court’s discretion to permit a party to enforce a worldwide freezing order in a foreign jurisdiction.